In Flack this week: PRWeek quiz fail, journalist cynicism, influencer definition, and which Valentine's campaign feels a little too familiar? Flack was among the many industry luminaries at the launch of Lansons CEO Tony Langham’s new book - Reputation Management: The Future of Corporate Communications and Public Relations - at Soho House on Tuesday. The book, produced in conjunction with the PRCA, contains essays from a number of media and comms experts (including Flack’s boss, PRWeek UK editor-in-chief Danny Rogers, nonetheless). Journalist Simon English wrote his essay from the hack perspective, and Langham gave a brief anecdote that perhaps typifies some journalists' attitude to PRs (or to some PRs, at least). The pair were discussing Langham’s upcoming road trip across southern Russian with his two sons. "[English] said, ‘they shoot people over there for telling the truth - but you’ll be fine’." John Paul Young’s 70s classic 'Love is in the Air' was one of the answers to 3 Monkeys Zeno Valentine’s Day quiz night on Wednesday, but Flack can reliably report that love certainly was not in the air in during the Play Doh round. While others looked a little bit worse for wear (after a few too many bevvies). Then there was this masterpiece from team Quizlamic State. Not only did they produce a Statue of Liberty, when other teams opted for the much simpler option of an Empire State Building, BUT they threw in a complimentary Valentine’s treat – the Tasmanian goddess of love (it’s a half wombat, half platypus – in case you are wondering). Judge and quizmaster Iain Lee, who Flack understands was having a good night until this point, couldn’t decide on what to make of all this and took a vote to the floor. Flack understands this was met by a volley of boos and jeers and "zero points". Think that was bad? Flack urges you to spare a thought for Quizlamic State’s vegan team member. That said, Flack was impressed by the eventual winners from Tech Radar, but less enamoured by their name Tech Radars of the Lost Ark. Congrats to all nine teams who took part. PRWeek readers shared their nightmare job interview experiences in an article earlier this month, which followed 22 year-old Olivia Bland's viral post about her terrible experience going for a comms role at a tech firm. The editorial team have continued to receive examples of poor practice since publication, including this depressing tale from Sophie Fox, SAE at Samphire Communications: "Got down to last two interviewees - to be told we have to do a three hour trial. Said this was impossible whilst still at another agency - recruiters response 'well the other employee is unemployed so can do it'. Told them to give it them!" "I spent hours researching the company and preparing for the interview. She seemed so disinterested. I didn’t even hear if I got the job. So I gave this feedback to the agency who got me the interview. Terrible and a waste of my time." The greatest typo of all time…? Ah, Valentine's Day. Among all the expected brand tie-ins to mark the supposedly most romantic day of the year, Flack felt a sense of déjà vu when he stumbled across this piece of activity for sausage roll brand Wall’s Pastry. 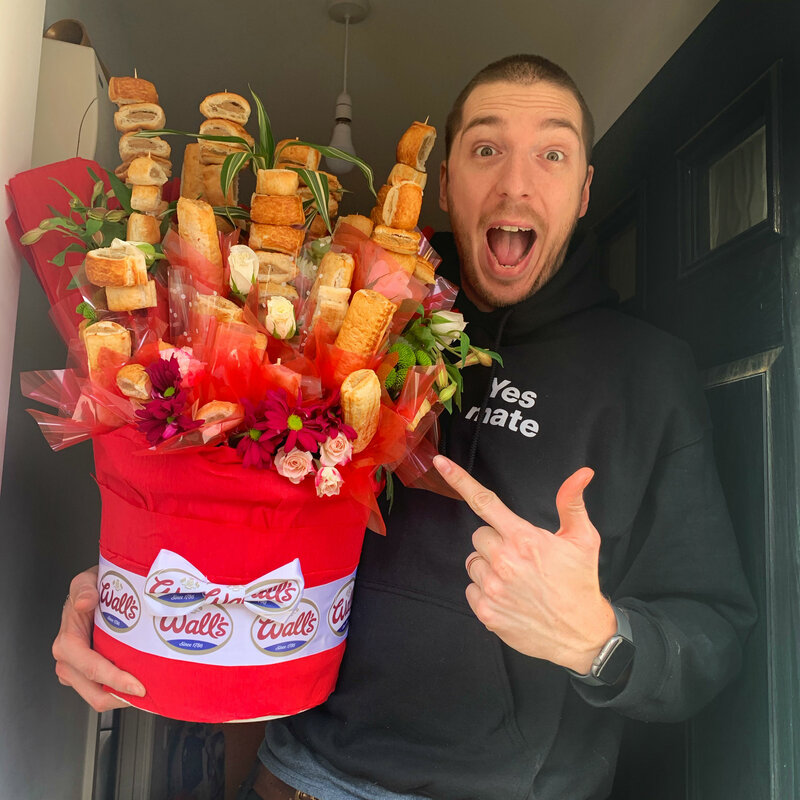 Linking up with Mark Hoyle, AKA LadBaby - who enjoyed success as the Christmas number one with his playful parody song ‘We Built This City…On Sausage Rolls’ – the brand produced a Valentine's-themed Sausage Roll Bouquet. The 8kg bouquet apparently features 150 large and small Wall’s sausage rolls, a dozen white roses and two metres of ribbon. Quite some feat; although not a million miles away from 2017’s 'Bou-Cakes' campaign for a Valentine's Day-themed range of Mr Kipling cakes. 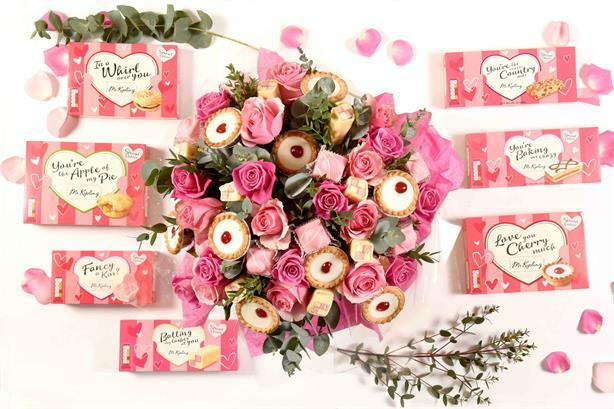 With Valentines Yorkshire puddings and sausages among the promos from major brands, Flack can’t help thinking this quirky food obsession is becoming as hackneyed as roses and, well, chocolates this time of year. Talking of hackneyed campaign ideas… Flack enjoyed this apparent take on arguably the most clichéd of them all.